Skateboarding is a sport of tough knocks and hard falls. Just ask legendary skater Tony Hawk – having had over 100 stitches, broken over 20 different bones and suffered countless concussions, this man is a testament to just how hard it can be. 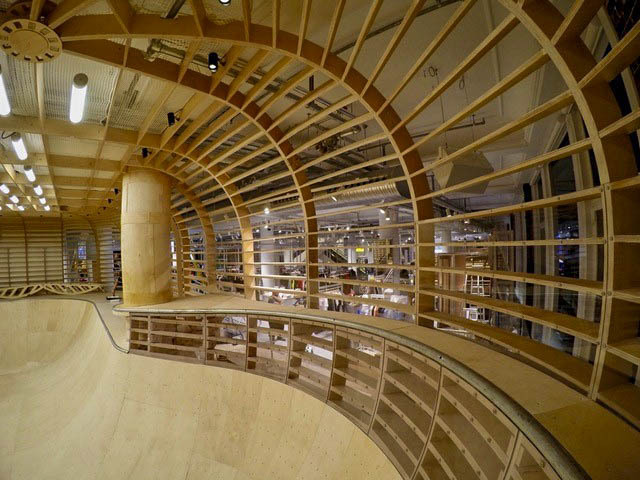 So, what about a Peerless coating covering a Skate Park in one of the world’s most iconic department stores – Selfridges. Peerless were approached by FourOneFour Skateparks. 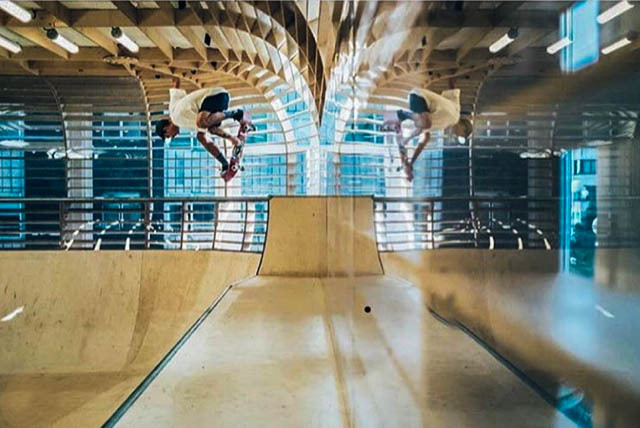 They had been asked to design, create and install a skatepark in Selfridges of London to help launch their new streetwear section within the refurbished menswear department. Situated in prime position, right next to the windows and overlooking the world famous Oxford Street they didn’t want the ‘bowl’ to be all wood. Whilst the base of the ramps and park would be, the sides needed to be transparent to allow gallery views and a view to the outside world. During testing, they soon found that whilst Polycarbonate has the strength to be battered without breaking, within a matter of hours the soft material became so scratched and marked that you could no longer see through it. This could be one of our toughest challenges yet. After scouring the internet for possible solutions, Shaun from FourOneFour came across our Peeraguard Clear coating so called us in for a chat. We supplied a test piece of our coated material for installation within their in-house park and as you can see from the video below, the results were pretty impressive. Following testing, Peerless supplied over 60 metres of cut to size coated polycarbonate for installation into Selfridges. 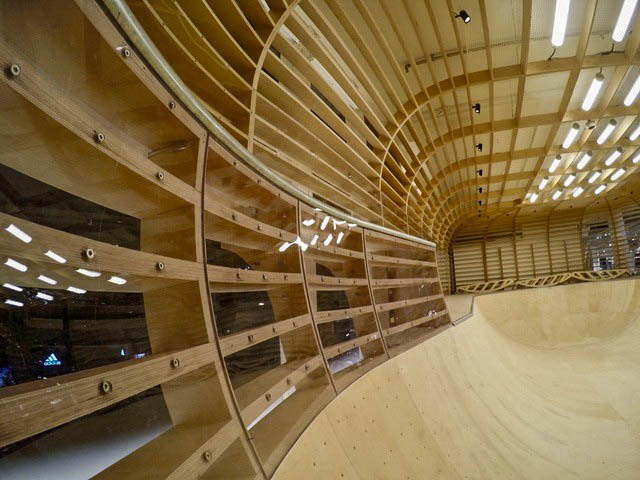 You can view the finished product yourself and visit the 1st floor and view the ‘bowl’, which is the centrepiece in the fully re-designed menswear floor within Selfridges, designed by Jamie Fobert Architects.